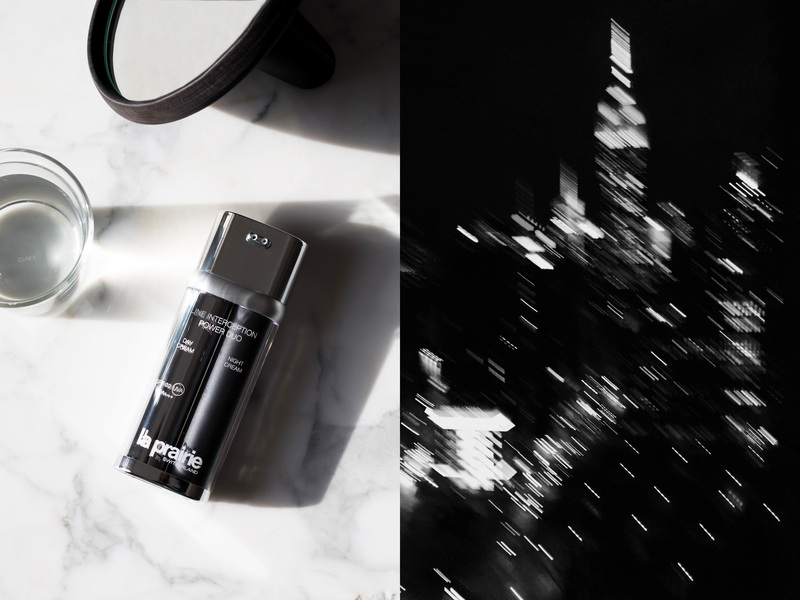 To celebrate the launch of la prairie's new 'Line Interception Power Duo', I created a duo of diptychs featuring day and night moments to mimic the dual chamber design of the product. The idea (if it weren't completely obvious) is to use the day cream for day and night cream for night for a noticeable difference in 14 days and 14 nights. The left image in the above is inspired by Ralph Gibson's photo of a woman's mouth reflected in a mirror. My idea was to portray a more subtle distinction between day and night, rather than use an obvious contrast. For the second diptych, I went for an iconic 'rushing' New York moment to contrast the calm of the day time still life. This is absolutely brilliant. You have vision and an eye for capturing powerful moments. This is one of the best collabs I've ever seen. Thanks for sharing this beautiful work.